Peel and quarter the quinces, remove the cores and cut into slices. Heat the olive oil in a pan, sauté the onion. Add the quinces and carrots, cook briefly. Pour in the stock, bring to the boil, reduce the heat, cover the soup and simmer for approx. 20 mins. Puree the soup using a hand blender. Toast the pecan nuts and pumpkin seeds in olive oil for approx. 3 mins. 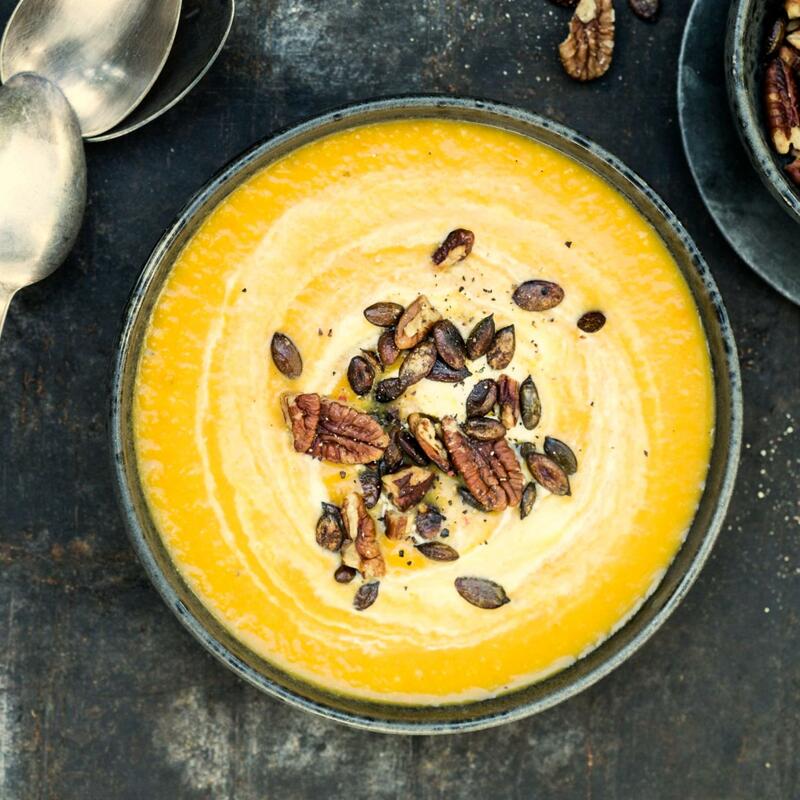 Serve the soup, garnish with the pecan nuts, pumpkin seeds and crème fraîche.